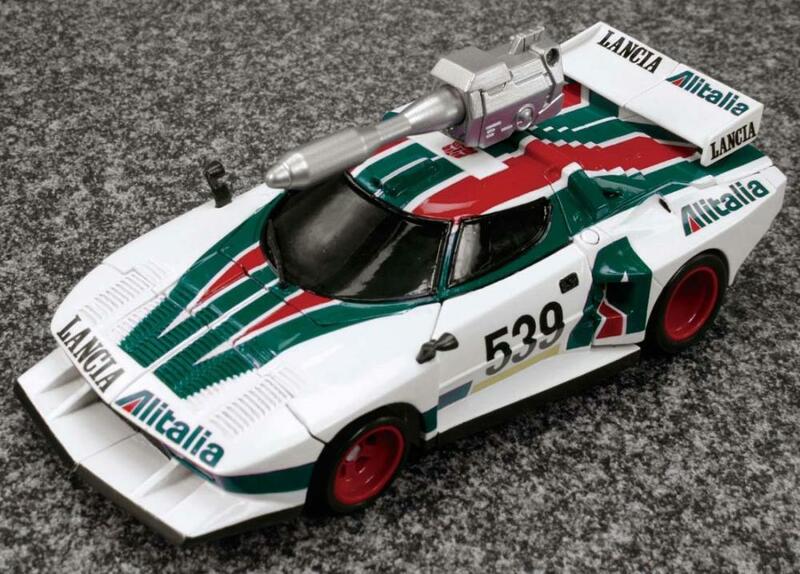 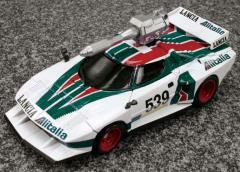 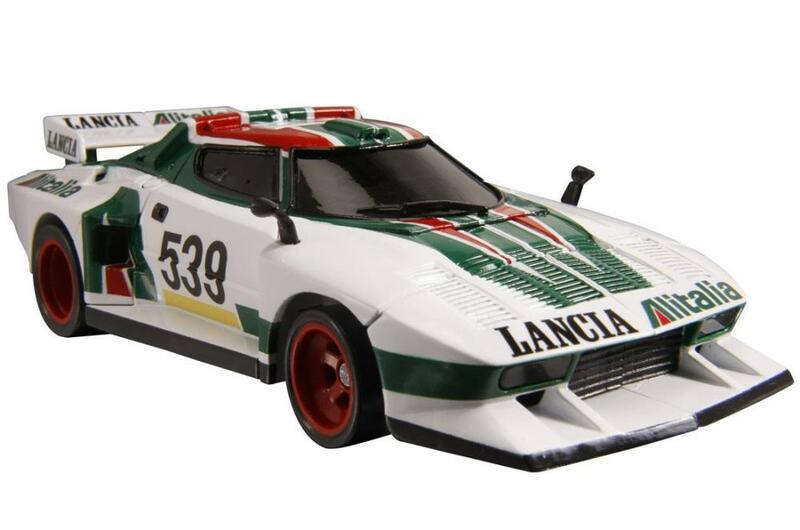 Masterpiece Wheeljack transforms into a licensed Lancia Stratos with accurate "Alitalia" markings. 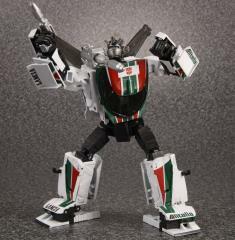 He is in scale with MP-10 Optimus Prime so he will fit inside the trailer when in vehicle mode. 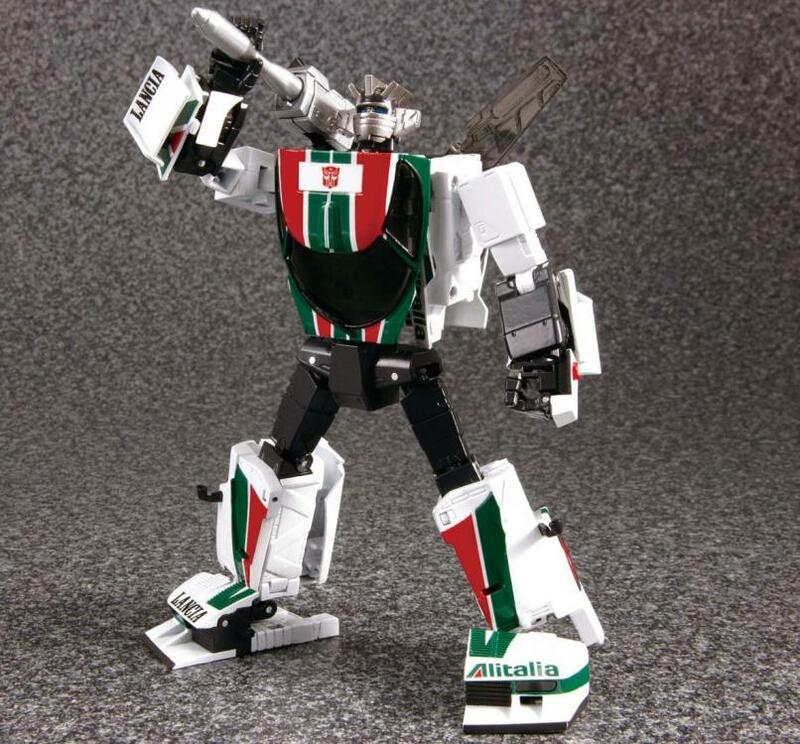 Wheeljack's side mirrors are detached and packed inside the instruction bag, and an extra pair of mirrors is included in case of loss or breakage. 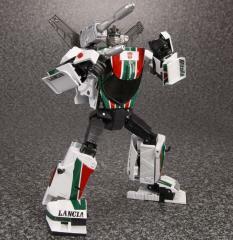 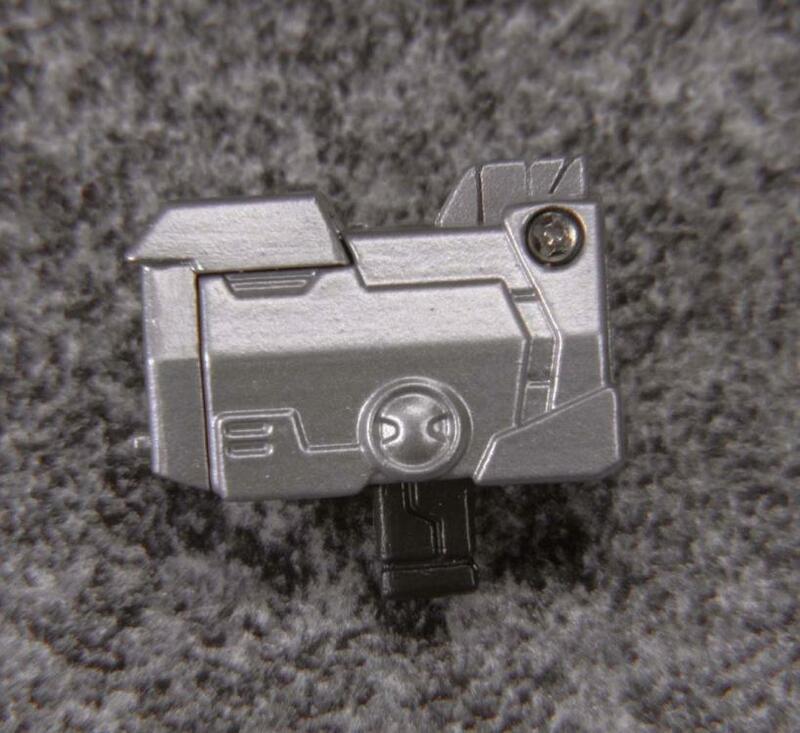 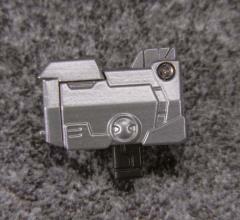 The shoulder launcher mounts on the roof in vehicle mode and the gun stores underneath to create the exhaust pipe. His head includes a hidden moustache underneath the faceplate. A noted tinkerer and inventor, the cartoon version of Wheeljack is noteworthy for his part in the creation of the Dinobots. However, his consistent production of new weapons and gadgets, and his compulsion to test the weapons himself, makes him one of the most danger-prone of the Autobots. 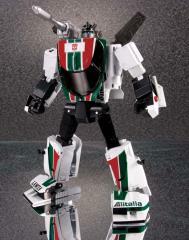 Wheeljack is most efficient in vehicle mode. 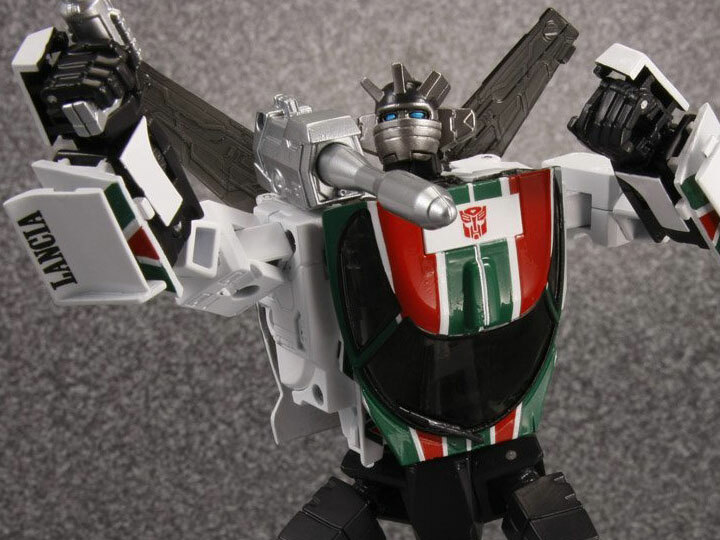 He can fly within a range of 800 miles by virtue of the solid-fuel rockets built into his arms. 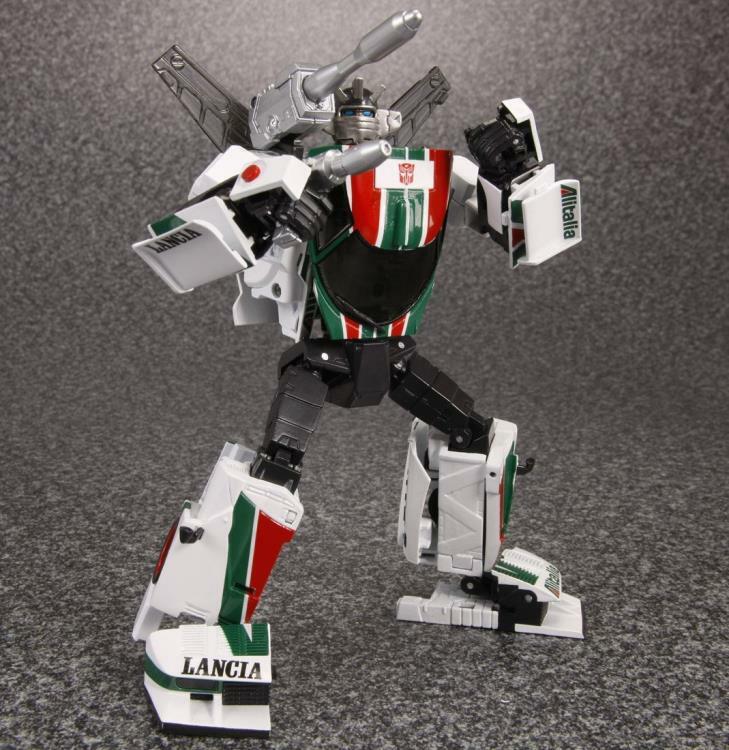 Wheeljack’s shoulder cannon enables him to fire a variety of artillery including magnetic inducer, shrapnel-needle, and gyro-inhibitor shells.